Children of famous directors and actors making a debut has been happening in cinema is a regular practice. Likewise, joining the list, is a famous director whose son is debuting as an actor now. Vijay Antony's Thamizharasan is directed by Babu Yogeeswaran and the music is composed by Ilayaraja. 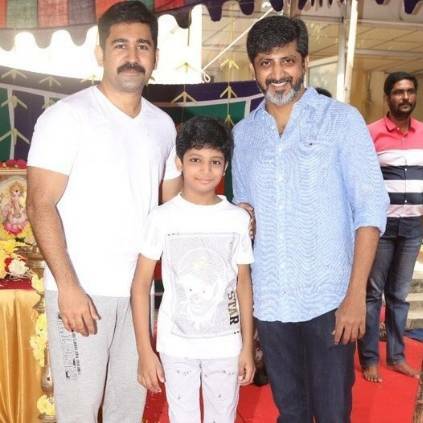 It can be noted that Jayam Ravi who is Mohan Raja’s younger brother had his son’s acting debut in his recent film Tik Tik Tik. People looking for online information on Babu Yogeeswaran, Mohan Raja, Thamizharasan, Vijay Antony will find this news story useful.